1. 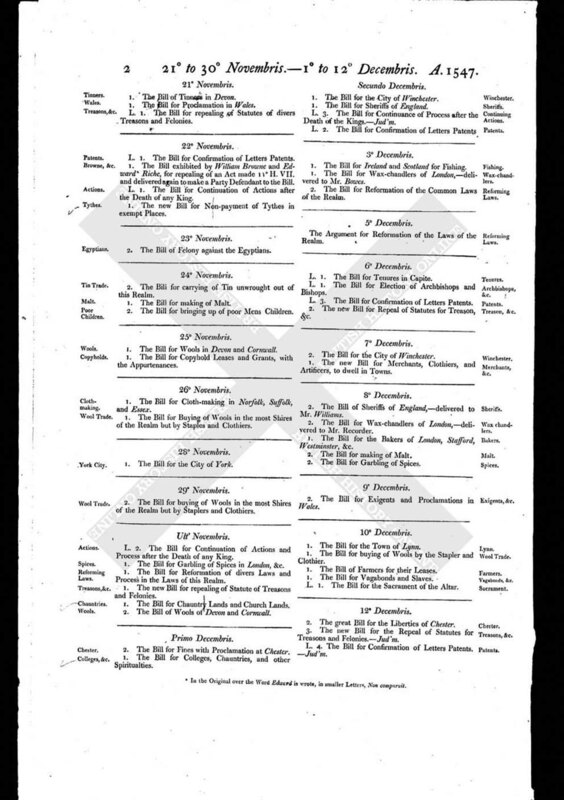 The Bill of Tinners in Devon. 1. The Bill for Proclamation in Wales. L. 1. The Bill for repealing of Statutes of divers Treasons and Felonies.